Dean Amhaus, Executive Director of The Water Council, was recently featured on the Green$ense Radio Show. He was interviewed by host Robert Colangelo on topics ranging from water infrastructure, tap water and water pricing. Green$ense Radio provides an inside look at the different market sectors that make up the New Green Economy, so you can decide which sustainable long term growth opportunities will create profit for people and benefit the planet. 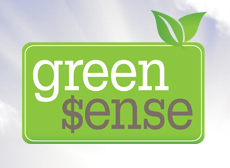 Green$ense Radio features topics such as alternative energy technologies, sustainable waste/water management, regional planning, green building, green computing and socially responsible investing. This entry was posted in In the News, Uncategorized and tagged Dean Amhaus, Green$ense Radio, Robert Colangelo, tap water, water infrastructure, water pricing, World Water Hub. Bookmark the permalink.